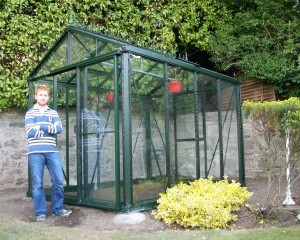 I would like to say congrats to Gareth Grehan on being the lucky winner of the Polydome Greenhouse 2011 spring competition. Gareth’s name was randomly selected from the hundreds of entries for the competition. I would like to thank everyone for taking the time to enter, and wish you all better luck next time. Please keep a look out on our website for further details of special offers that we will be running over the coming months to celebrate our 25th year in business. 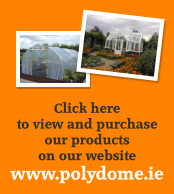 Copyright Polydome Greenhouses Ltd. © 2013.